Being a keralite and a perpetual snacker, i thought i should post one of my favourite snack items of the Kerala cuisine. 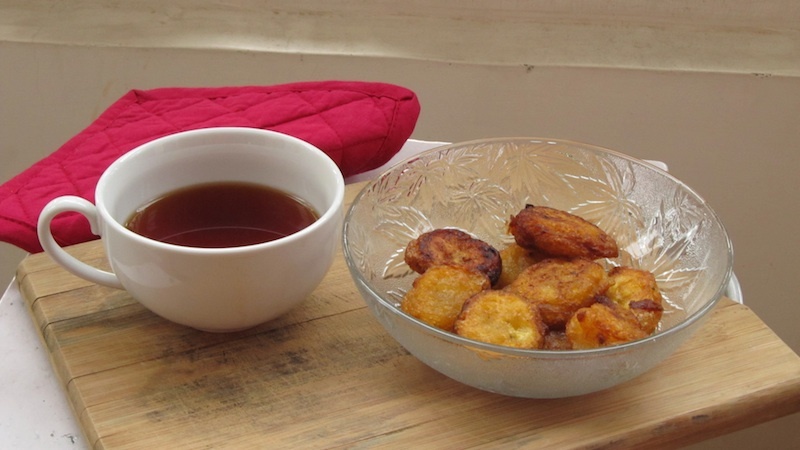 It is none other than fritters made from yellow Kerala banana (known as Nedhra Pazham among Keralites). This recipe is significantly different from the first recipe i posted. Traditionally banana fritters is made in Kerala by deep frying long strips of the ripe yellow Kerala bananas which are dipped in sweetened refined wheat flour (maida). I made it in a slightly different manner, the recipe for which i will be sharing today. 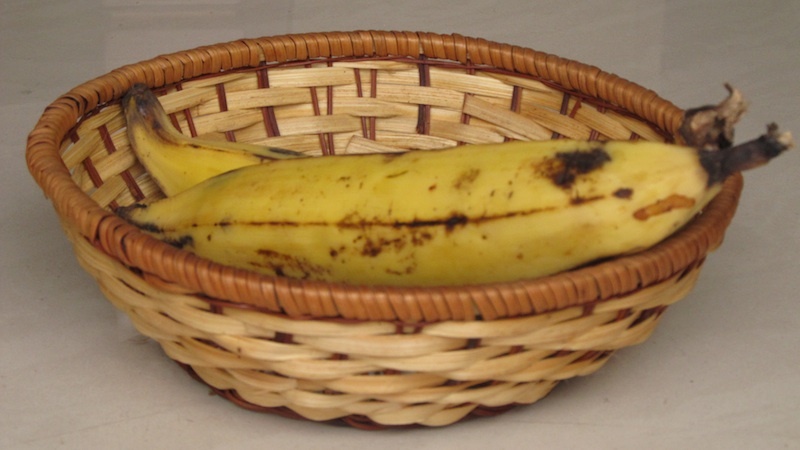 Cut the bananas into small round pieces and set aside. Mix the cornflour (corn starch) and flour in a bowl. Boil Jaggery with the water till it is completely dissolved. Add this to cornflour (corn starch)-flour mixture and mix well to ensure that there are no lumps. Add the powdered cardamom to the batter and mix well. Dip the banana pieces in the batter and deep fry till golden brown. Serve hot! Ensure that the batter is not too loose else it will absorb a lot of oil while frying.